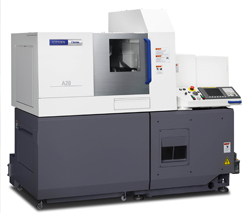 By maximising on modular construction techniques, the latest generation of the popular Citizen Cincom A20 tops the economics league of CNC sliding head machines to major on the rewards generated by high performance / lower price ratios. 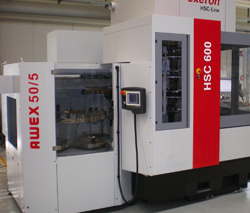 CNC International will give a UK exhibition debut to the Exeron EDM313 die sink erosion machine with the new Exeron MF30 CNC control unit. This impressive machine has been manufactured from an FEM optimised mineral cast base that has a small footprint to enable integration with additional process related systems and automation. The Exeron is compact, fast, and very robust and its unbeatable ratio of travel paths and installation space are the envy of the industry. 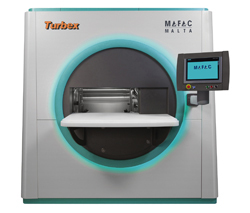 Turbex will launch an Elma automated cleaning line intended for applications where a very high level of precision cleaning is essential. The Elma product range, which covers bespoke, multi-tank cleaning and drying lines down to small bench-top units, is aimed primarily at the high-end use in the optics, medical, and precision manufacturing industries. 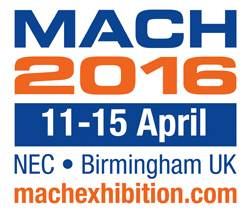 The UK’s premier manufacturing technologies exhibition, MACH 2016, officially sold-out earlier this year. The biennial exhibition has over 100 hundred years of heritage and prides itself on being at the forefront of technological developments.